Brand new and high quality. 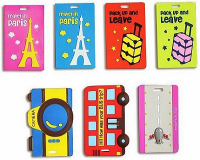 Unique design ID Tag is great for any kind of luggage, suitcase or anything you would like to put your ID on. 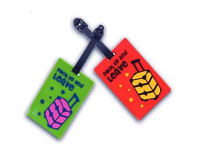 Will surely stand out at baggage claim, it is perfect for any travel occasion. Due to Chinese New Year, all purchases made after 19 January will be shipped from 10 February onward. Sorry for any inconvenience. Be the First one to enjoy our New Offers & Exclusive Discounts. Subscribe to our Newsletter and Stay Tuned to All Our Crazy Promotions! It's Free! Please enter your email address below and we will send you your password.